This is Mediumish documentation (more on this product here). You can skip the documentation with our 24h theme installation service. Whether it’s your own website or a client's, we can take the burden of installation off your shoulders. Theme installation includes full setup of the theme, plugins, settings, and demo content. Your website will look just like the demo within a few hours! 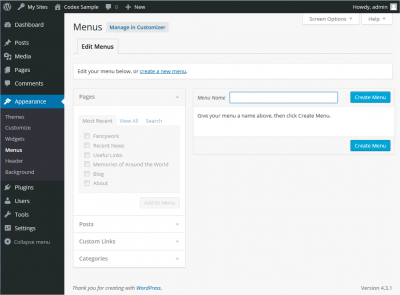 Mediumish is a Wordpress theme, so you must install Wordpress first. There are several ways to install WordPress but the easiest way would be to use one of the one-click autoinstallers available from you hosting company. Click here to learn how to install WordPress with the most popular autoinstallers, WordPress Toolkit, Cloudron, Fantastico, Installatron, and Softaculous. Great! Now the final step, make the menu visible in site. Redxun theme supports 2 menus - header & footer. Navigate to Appearance/Customize/Mediumish Theme/Articles, scroll down and you will notice the area named: “Bottom Alert Bar”. 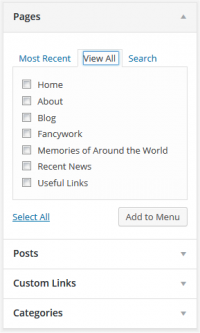 This is where you will add the Mailchimp shortcode or any other announcement you might want to display to your readers. To get your Mailchimp shortcode you must have this free plugin installed and active. Mediumish comes with WowPopup premium plugin to serve your marketing tasks professionally. "Mediumish" theme is translatable. All you have to do is to install a specific plugin so you can easily translate the theme in your own language. We recommend you Loco Translate plugin.